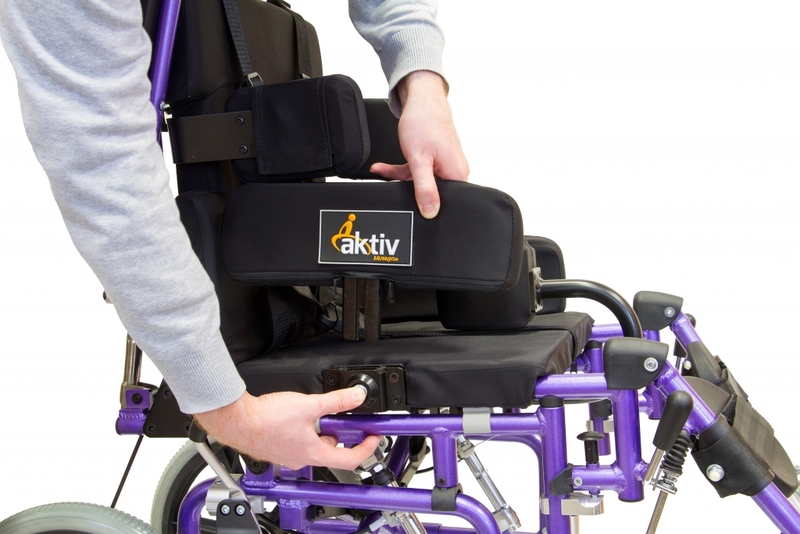 The Aktiv X8 is a paediatric multi-positional wheelchair suitable for full-time use. 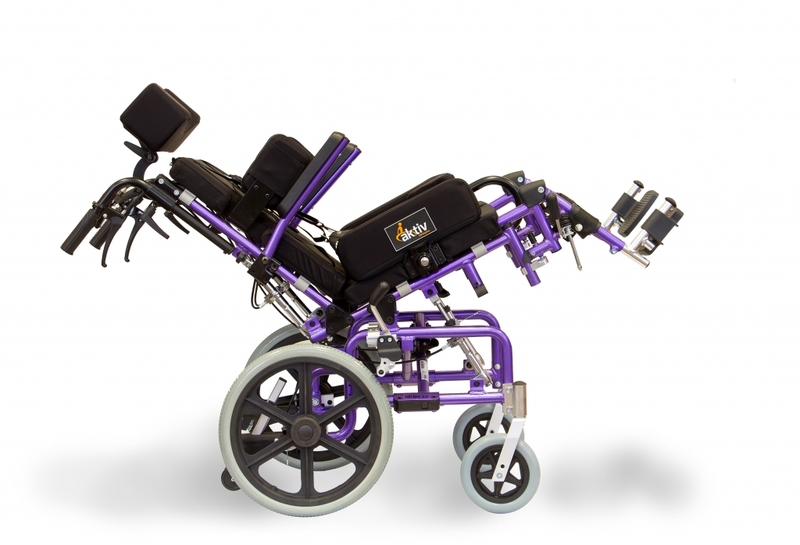 This wheelchair is a folding frame and tilt and recline facility and is fitted with elevating leg rests and multi adjustable headrest as standard. 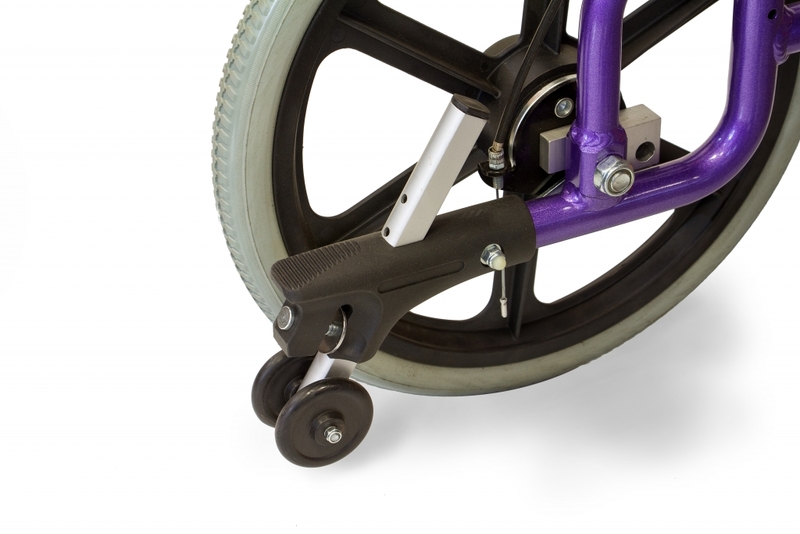 This wheelchair can be even be disassembled for transportation in a car boot if required. 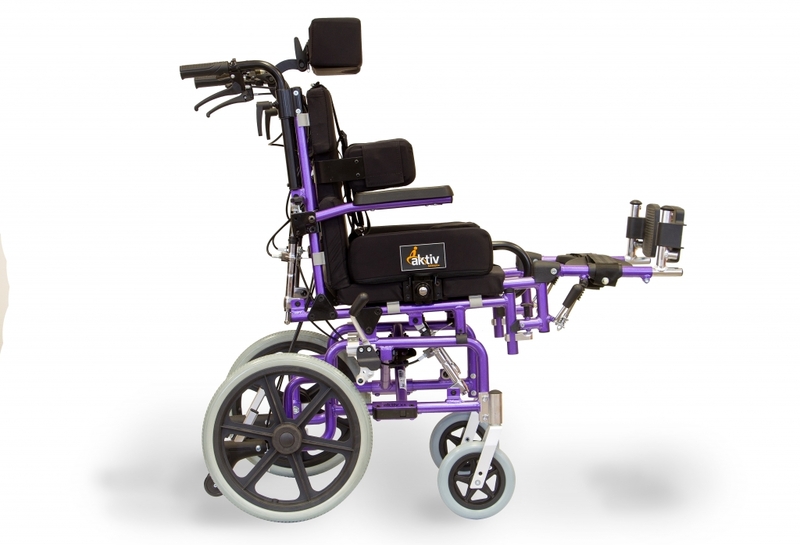 This chair offers a wide variety of seating and lying positions for long term use and a flat position ideal for changing or catheterisation. 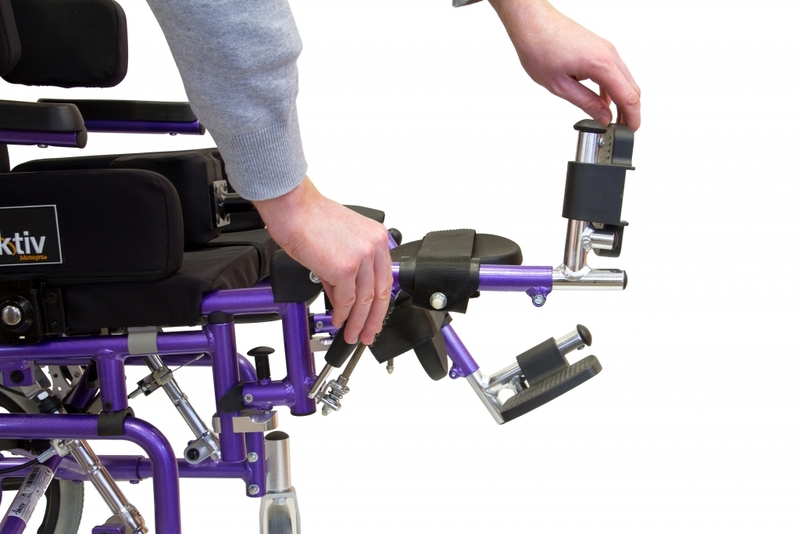 The armrests are height adjustable and flip away as standard and have comfortable polyurethane armrest pads. 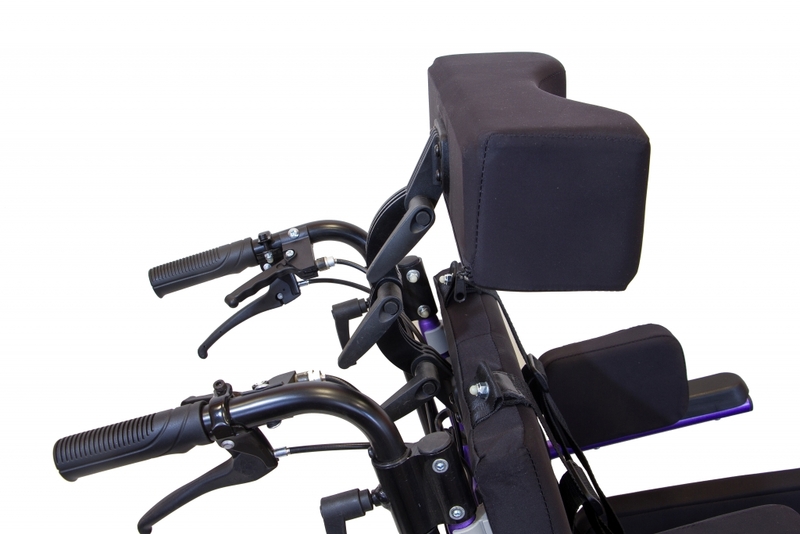 The backrest is height adjustable and both it and the seat cushion is padded for excellent support and has a waterproof, breathable and multi-stretch cover. 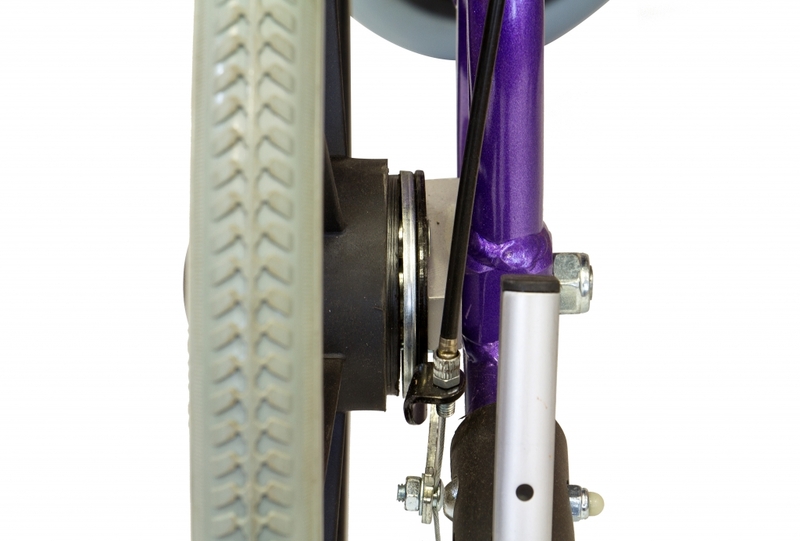 A choice of flat or contoured back and seat cushions are available. 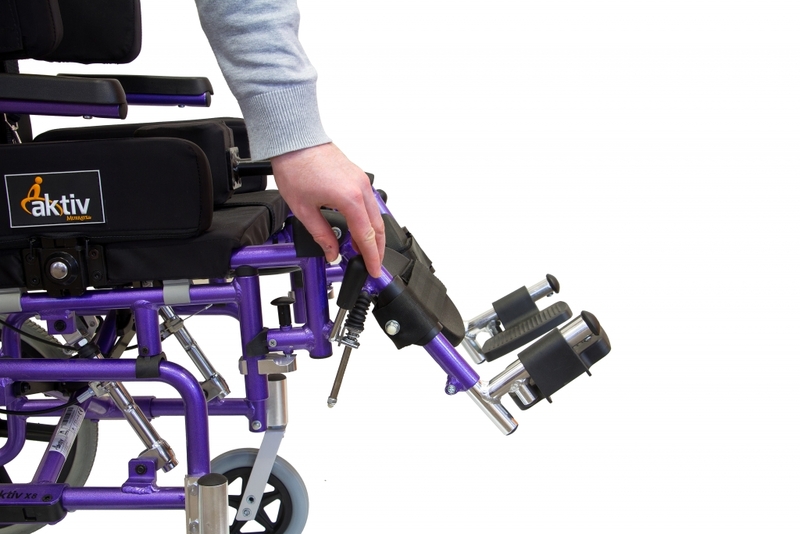 Both the backrest and seat can be easily removed to allow the chair to fold. 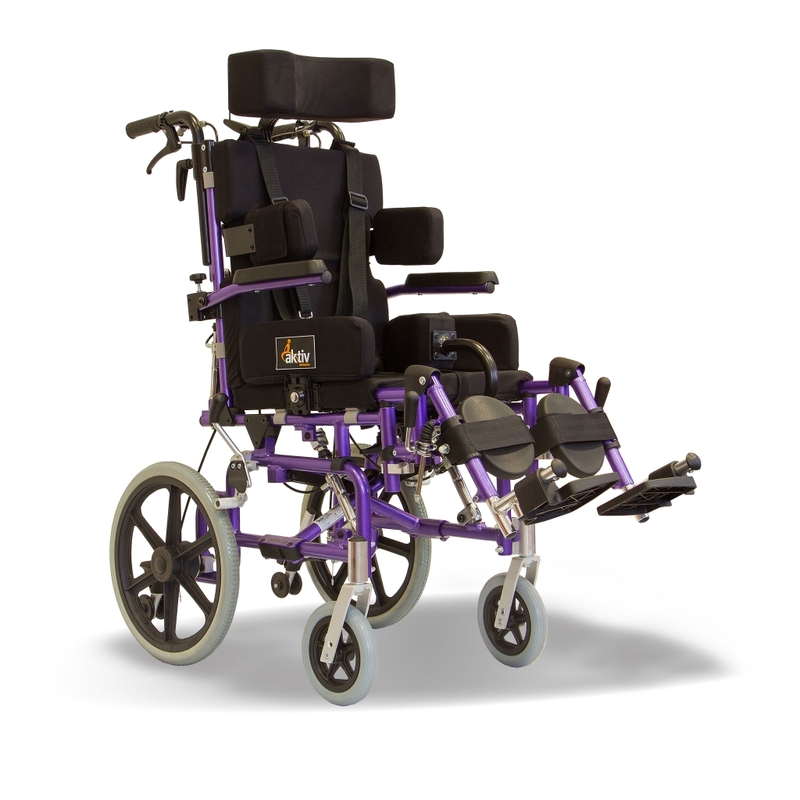 The leg rests elevate easily and are fitted with padded calf rests. 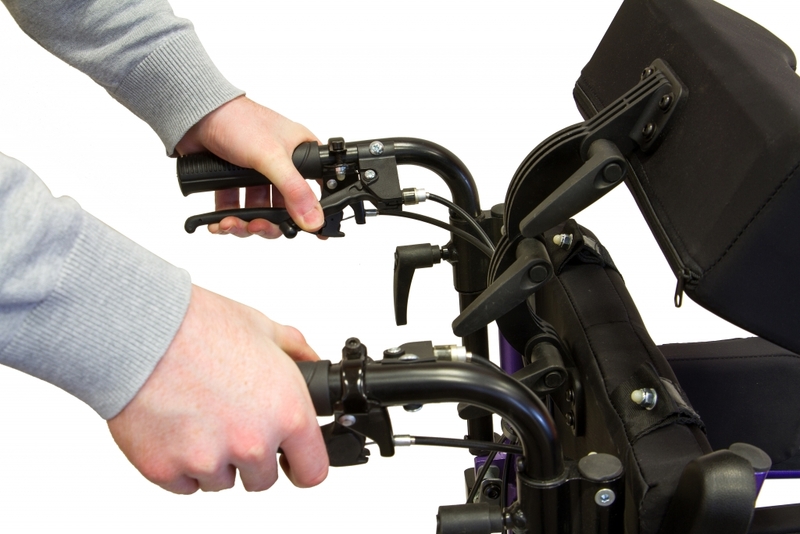 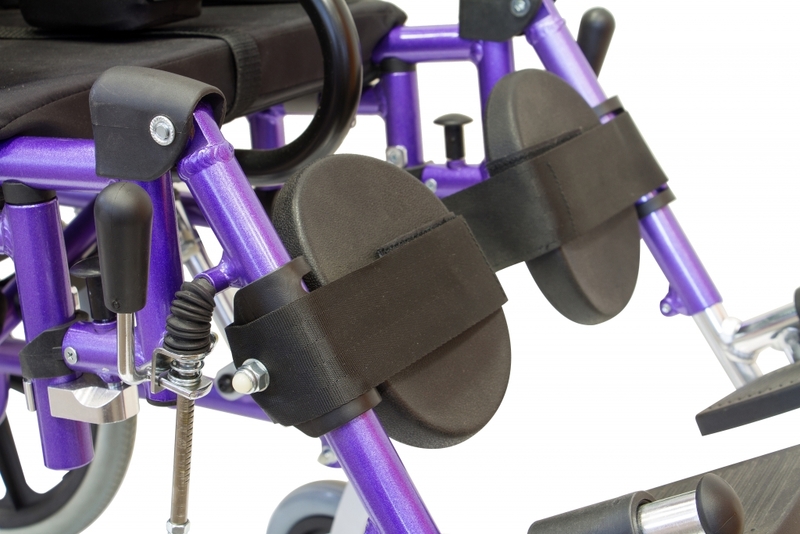 The footplates are height adjustable and can be fitted with ankle huggers or toe straps if required.